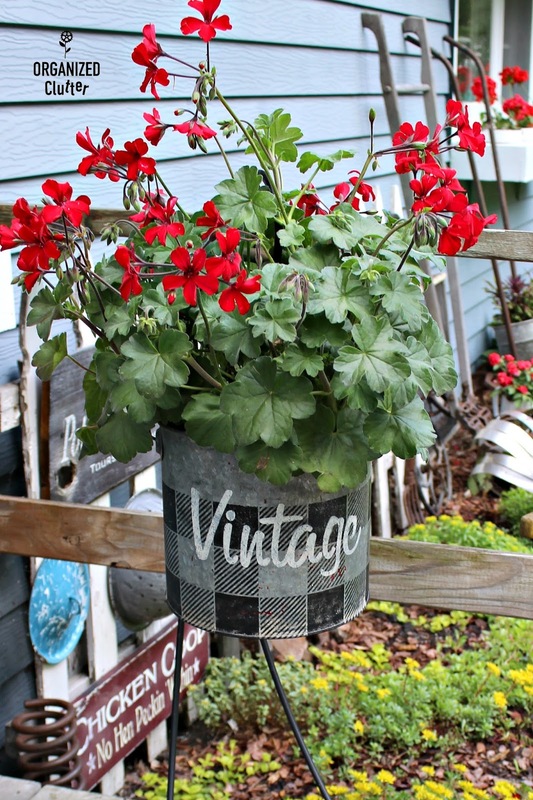 I love planting annuals in metal pails. If you are familiar with old metal minnow buckets, there is the outside like this and an inside water strainer part. Both can be planted in. I purchased this bucket for $5. As you can see it has some dings and fragments of red paint in spots from a painted label. I washed the outside surface with a wet rag and KRUD KUTTER Tough Task Remover . Krud Kutter removes any grease or dirt that may cause problems with paint adherence. 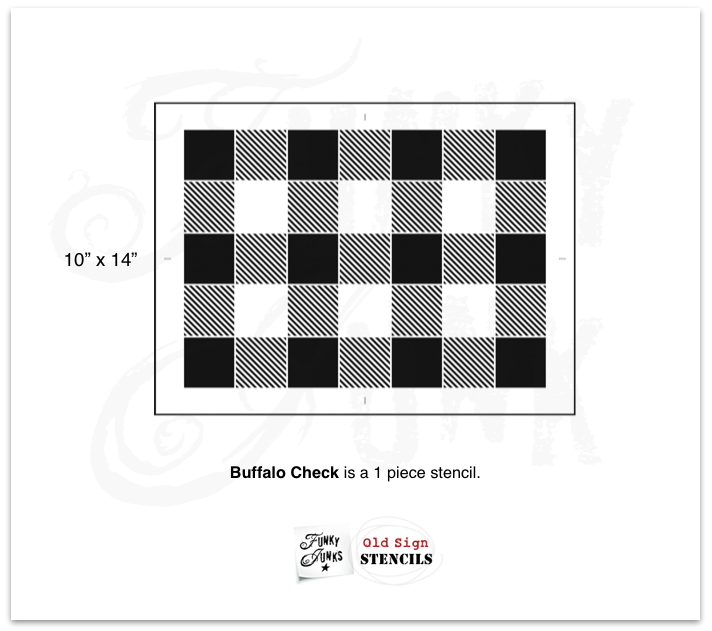 Have you seen the new *Old Sign Stencils Buffalo Check Stencil? 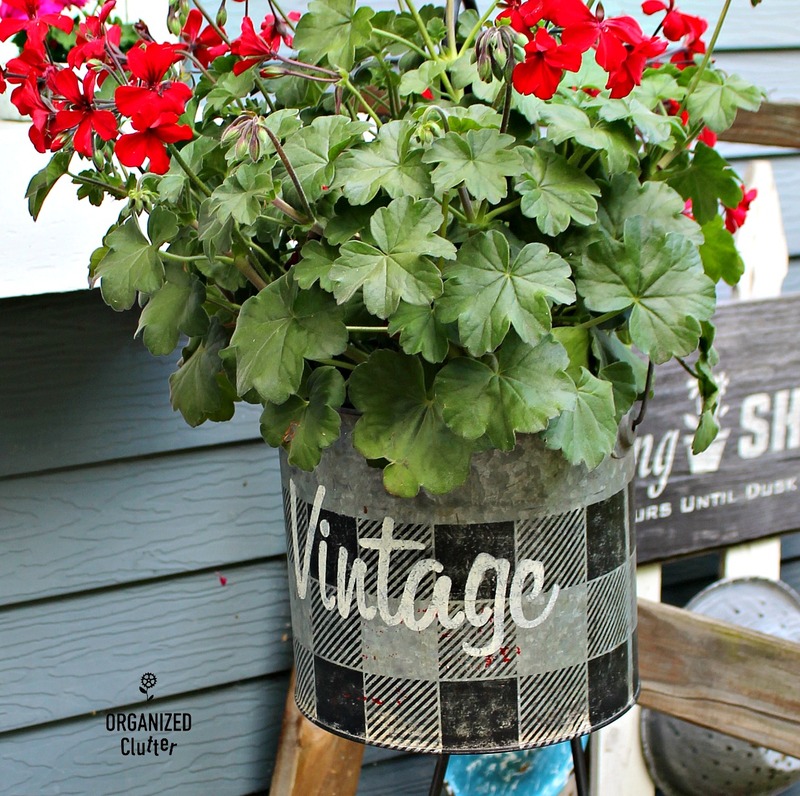 I have been wanting to try mine and since I'm concentrating on the junk garden these days, I am "buffalo checking" this minnow bucket/flower planter. 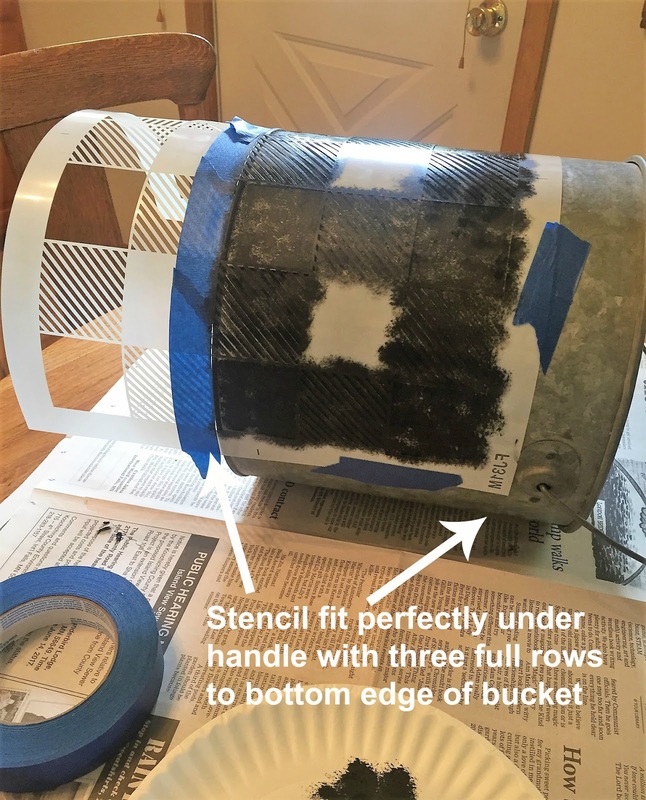 The stencil fit almost exactly half way around the pail, and taping the stencil under the bucket handles made the stencil lay flat. I taped it on with blue painters tape. 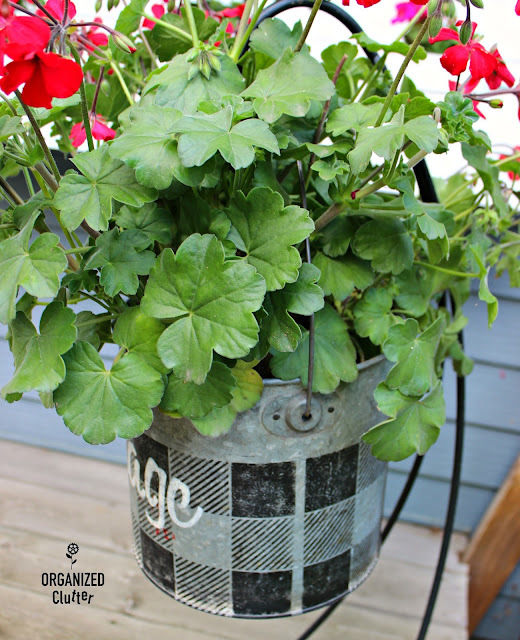 I flipped the bucket over and did the other side in the same manner. Here is my buffalo checked minnow bucket. 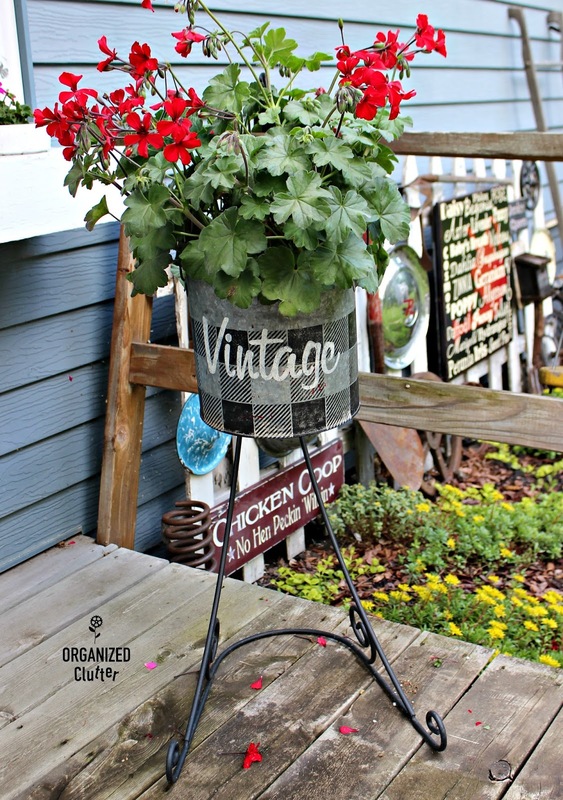 I know the red paint fragments still show but this is a junk garden planter so it's perfect! 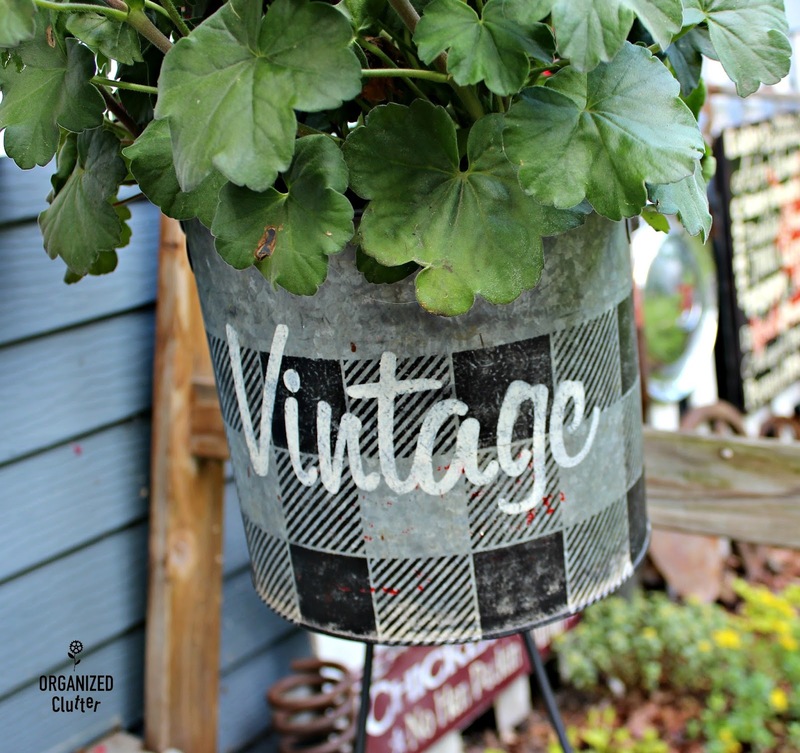 I also used another of my old favorites, the Old Sign Stencils "Vintage" Stencil. I sanded the stenciling very gently with 220 grit sandpaper. This is what the side looks like. 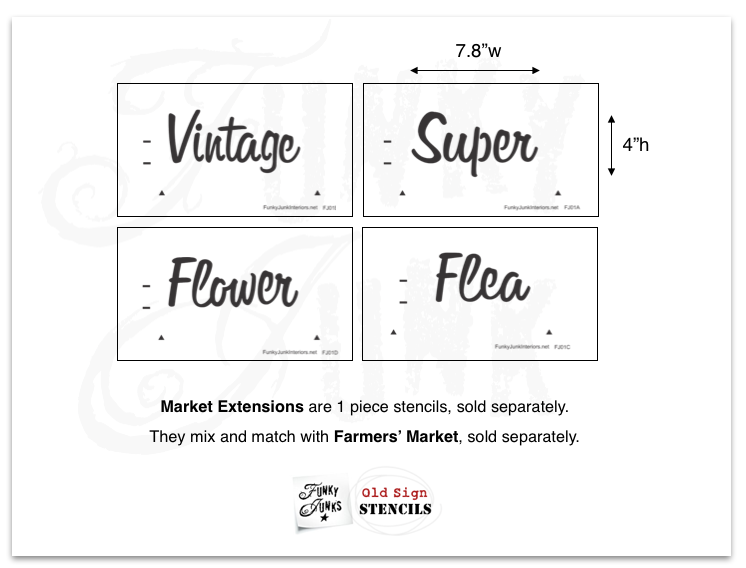 Each side has a thin strip of metal between the front and back stencils. And, here is the front with the "Vintage" stencil. I sealed the stencils with three coats of spray sealer. You can re-spray every season or more often to protect your planter. The hardest part of this project was getting the geranium hanging basket plant into the bucket, under the handle, without breaking the blossoms off. Be careful. 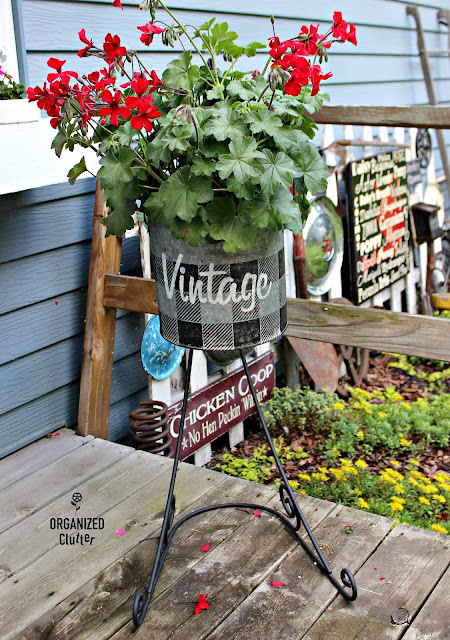 The black iron plant stand was purchased at a garage sale last Friday! 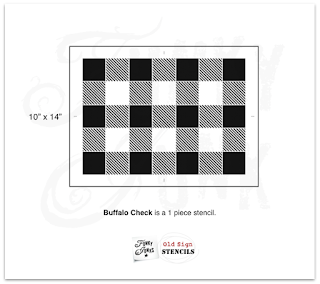 You can buffalo check just about anything with this new stencil. Give it a try!